Although the iPhone 8 was somewhat overshadowed by the release of the iPhone X, it is a fantastic smartphone with some brilliant features. 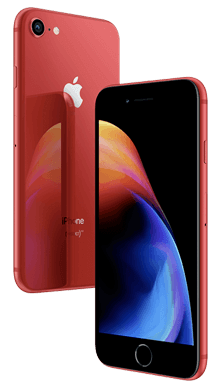 Select your desired options to find the best Apple iPhone 8 deals for you. While Apple certainly has some serious competition these days when it comes to being the biggest name in the smartphone industry, there’s no denying that they are still one of the most powerful giants of the technology world. With this, they’ve managed to secure themselves a loyal following of fans on a global scale, who always eagerly await the next iPhone release with excitement and anticipation. When the iPhone 8 and 8 Plus were released last year, it's fair to say that they were somewhat overshadowed by the accompanying announcement of the iPhone X. The iPhone 8 features some of the most dramatic changes that Apple have made to their flagship phones in years, and yet it still ended up being possibly the most understated iPhone launch ever. Despite this, we at Metrofone are big fans of the iPhone 8; it's a fantastic option if you’re on the hunt for a new smartphone and are particularly looking for something high end and innovative. As has been the case for a few years now, the iPhone 8 certainly keeps the look of its predecessors, you can definitely tell that this is an Apple handset, though there a few changes to take note of. 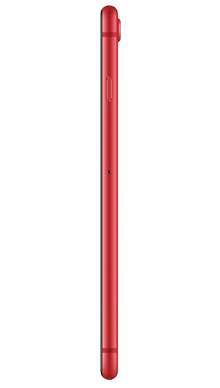 While the iPhone 8 still features the familiar sleek design that we’re used to seeing from Apple, with elegant rounded corners and subtly curved edges. It's extremely comfortable in hold, and the more conventional size of the smaller iPhone 8 makes it perfect for one-handed use. The major change on the iPhone 8 comes when you turn the phone over to reveal a brand new all-glass back. Not only does this look incredibly premium, but it is also far more convenient than the design of the previous iPhone handsets, as it enables wireless charging. Understandably some users may be a little wary of spending so much money on a phone with a glass back, as its liable to crack if you ever drop your phone. However, more and more smartphone manufacturers are going for all glass designs, and you can easily protect your phone by investing in a good quality case and screen protector. While the iPhone 8 retains the slightly smaller than average 4.7-inch screen (these days we’re used to seeing screens that are 5 inches or bigger as a standard), the quality makes up for what it may lack in size. The display features impressive Retina HD specifications with TrueTone technology to give a sharp and clear viewing experience with colours that are all at once vivid but overall look infinitely more natural and well balanced than other, less advanced smartphone screens. Unsurprisingly there’s still no support for hi-res music on the iPhone 8 - we’re beginning to wonder if Apple will ever implement this feature into their mobile phones. With that being said the overall audio experience is in line with the same high standards that we’ve come to expect from Apple; treble and bass are well balanced so that your music sounds rich and dynamic. The iPhone 8 features stereo speakers are 25% louder than iPhone 7, meaning that watching media on your handset is much more enjoyable. There is, of course, still no headphone jack after Apple made the controversial decision to remove it from the iPhone 7, so you will need a pair of wireless Bluetooth headphones to listen to your music on your iPhone 8 (unless you use the charging port and headphone adapter). However, these days many other high-end smartphone manufacturers are following in Apple’s footsteps and omitting the headphone jack from their designs, so we don’t think it will be long before this is a standard feature of many handsets. The iPhone 8 comes equipped with a decent camera setup that has the ability to deliver photos of a very high standard; you’d expect nothing less from Apple. A company who spend a lot of their marketing budget on promoting the strength of their cameras. With a 12MP lens on the rear of the handset, and a 7MP front shooter, the photos from the iPhone 8 are notably better than those produced on the iPhones from a few years ago, colours are bright, details sharp and the app is quick and responsive. So while the older iPhones are still great handsets to consider, if smartphone photography is one of your main concerns we’d definitely recommend going for one of the newer handsets. A major upgrade with the iPhone 8 is the fact that it has the capability for 4K video recording so that when the opportunity arrives to film all of your favourite memories, you can rest assured that you’re doing so in the highest quality. The iPhone 8 runs on iOS 11 out of the box, and will, of course, be easily upgradeable as newer versions come along. The classic Apple interface is here to stay, and whether you are a long time iPhone user or a complete newbie, we can guarantee that its one of the easiest smartphone interfaces to get to grips with. We’ve already mentioned the convenience of having a glass back as it enables wireless charging with the iPhone 8 handsets, but it also comes with compatibility for fast charging, meaning that you can get 50% of your battery power back in just 30 mins! 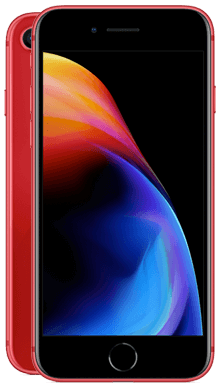 With the Apple A11 bionic processor, the iPhone 8 is an extremely fast and responsive smartphone; you don't need to worry about waiting around for your smartphone to catch up, and there’s very little, if any, delay or lagging to be found. The iPhone 8 is a brilliant handset, and it feels that Apple has made just the right amount of changes to upgrade the iPhone while keeping some of our favourite changes. The all-glass design is a welcome departure from the previous, matte finish build that we were used to seeing on the iPhone. It looks expensive and elegant, and we love that it enables the luxury of wireless charging. The Retina HD display with TrueTone technology is simply fantastic, and when you add to that the great audio quality, watching media and listening to music on your iPhone 8 is a joy. The camera keeps the same high-quality photography technology that we’re used to seeing on an Apple handset, so photographs are produced to an extremely high standard. The addition of 4K video recording is a great bonus, and using the camera app is very easy. The A11 bionic chip inside the iPhone 8 allows for a smooth and receptive smartphone experience that we have, so far, had no concerns with. The battery life is much better than older iPhone handsets and the ability to fast charge up to 50% in just 30 minutes is a great added convenience. Ever since the release of the iPhone 8, here at Metrofone, we’ve been on a mission to ensure that we bring our customers the very best iPhone 8 deals. Whether you’re looking for unlimited texts and calls, bags of data or some great free extras, we’re sure that we’ve got the perfect iPhone 8 offer to suit your smartphone needs. It's no secret that EE has one of the best reputations out there when it comes to mobile phone networks, and rest assured that when you get the iPhone 8 on EE, you’re on board with one of the UK’s leading mobile communication networks, giving you fantastic service and great connections wherever you are. Plus with the iPhone on EE, you not only get to take advantage of incredible deals that give you unlimited minutes and texts, with loads of data, but you can also take advantage of fantastic extra perks. For example, you could choose a subscription to BT Sports to make sure you don’t miss out on all of the latest sporting action, as well as six months free Apple Music where you don’t even need to worry about paying for the data! 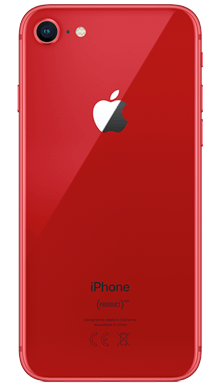 We’ll always give you a great cashback offer where we can, and you can get fantastic free delivery so that you could have your brand new iPhone 8 the very next day. 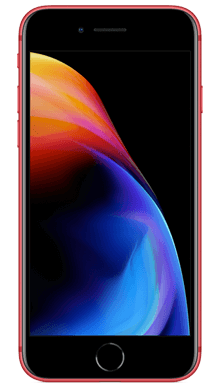 If you’d like some more information on the iPhone 8, or if you’d like to find out more about a specific deal with Metrofone, then why not call one of our great customer service team today, on 0333 900 1144.